Are you determined to grow your hair longer than ever before? It doesn't just take time, but also effort! Are you hoping to grow your hair really long, or are you already there but not completely happy with the condition of your crowning glory? Growing or maintaining long hair takes time as well as effort, and also, many have already found, requires you to look outside of the mainstream realm of hair care. So, you've decided to grow your hair as long as possible? This is, above all, a process that takes patience — especially if your hair is currently so short that you'll have to get through those awkward stages of weird-looking hairdos that gradually offer you a long bob, and you will inevitably be tempted to cut it all off again at one point or another. Human hair grows an average of half an inch (1.25 centimeters) over the course of a month, though the rate of growth varies individually and also depends on your ethnic background. Asian hair grows fastest, while African hair grows most slowly. 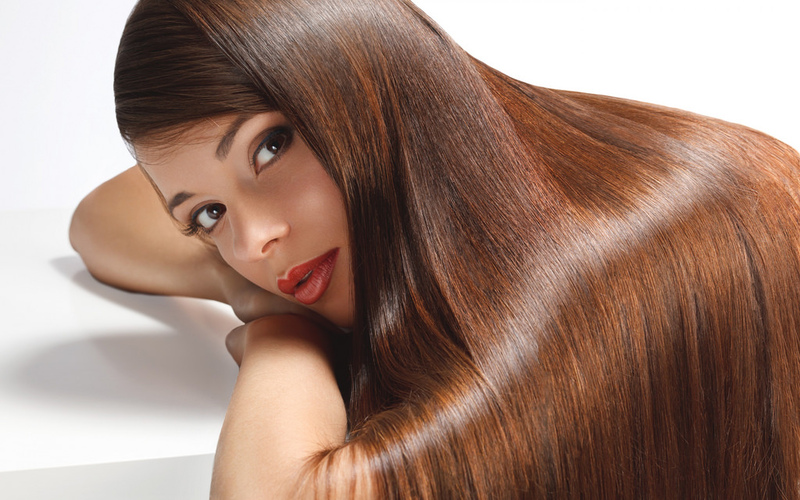 Hair also grows faster during the warmer months than in winter. The anagen phase is the growth phase. At any given time, around 85 percent of the hairs on your head will be in this phase, which lasts an average of three to five years. Once the anagen phase comes to an end, a hair enters the catagen phase, a resting phase that lasts around 10 days. Around a percent of the hairs on your head will be in this phase right now. Finally, the telogen phase is the phase during which an individual hair will fall out. It's not unusual to lose 80 hairs a day this way. After the hair falls out, your follicle will rest for around three months, after which a new hair begins the anagen phase again. This natural hair-growth phase is just that — natural, and inevitable. The normal growth of your hair can be disrupted, however, by factors like illness, hormonal imbalances, and nutritional deficiencies. If you want to grow your hair as long as possible, you can't beat the normal hair-growth cycle; individual hairs will fall out.The best you can do is work with this natural cycle to ensure that your anagen-phase hairs can grow well. From this point onwards, you need to take good care of your hair. Just taking vitamins meant to promote healthy hair, skin and nails won't cut it. Healthy long hair has many enemies. While your hair is still short-ish, however, you're likely to represent the main foe; if you get fed-up with it, you'll just cut it off. What can you do to help your hair grow long hassle-free? Hair dye and other chemical treatments are hard on your hair. If you currently have dyed hair, consider going back to your natural color, stopping straightening or curling it, and allowing it to shine. Love your hair during every stage. Don't be tempted to get extensions because you hate that bob. If your hair is currently so short that you can't even put it into a pony tail, and you can't get it to look good without blow drying it (which, let's face it, is not all that great for your tresses), hats and bandanas are your friends. Once your hair is long enough for a pony tail or braid, remember that very tight hairstyles cause your hair to break more easily. Refrain from over-brushing your hair, and don't brush your hair while it is wet! Wearing your head "up" for months at a time can give you the tidy and professional look you are after without having to spend too much effort, however. If you are one of those people who hates hair in their faces, wearing your hair up for set periods of time — three months, six months, or even a year — will help you grow your hair without even noticing it. Normal Hair Loss: Do you Have Hair Loss or Hair Shedding? What's a good shampoo and conditioner for medium thick, dry hair?